Jean Irene (McClintock) Diller, age 77, of Newport, passed away peacefully with family by her side on Tuesday, July 24, 2018. Jean was born on Friday, December 13, 1940 in Mechanicsburg to the late Roy E. McClintock and Betsy M. (Fuller) McClintock. In addition to her parents, Jean is preceded in death by her sister and her eight brothers. Jean’s survivors include her four children: Wanda Brehm and her companion, Verlan Bauman, of Shermans Dale, Debra Trimbur and her husband, Gregory, of Carlisle, Brenda Neidig and her husband, Loren, of Carlisle, John Diller, Jr. of Harrisburg; her eight grandchildren: Billie Jo Heistand of Wrightsville, Justin Brehm of Shermans Dale, Jeffrey Kuntz of Liverpool, Crystal Yearick and her husband, Brett, of Shermans Dale, Mandie Neidig and her companion, Daniel Kelly, of Carlisle, Clarissa Clouser of Elliotsburg, Jennifer Diller and her companion, Jeremy Mohr, of Mount Joy, John Diller and his wife, Becky, of Blain; her 14 great-grandchildren: Amanda Miller, Laven Miller, Jahrel Curtis, Tyler Scott, Kiersten Clouser, Heaven Curtis, Ashlyn Clouser, Eva Heistand, Desmond Curtis, Jenna Heistand, Alyssa Kuntz, Dixie Kuntz, Kasen Mullen, Lincoln Yearick; her brother, Clyde McClintock and his wife, Linda, of Mechanicsburg; and several nieces and nephews. Jean graduated from Cumberland Valley High School as part of the class of 1959. She retired from HealthSouth of Mechanicsburg in 2005, after 20 years of service working as a housekeeper. Jean was an excellent cook; everyone knew she made the best cream puffs. She loved to work on her word search books and to watch the Game Show Network (GSN) and Wheel of Fortune. Jean also enjoyed playing Bingo and was a huge country music fan. She had a soft spot for cats and would often help care for the ones in her neighborhood. Jean took the most joy in spending time with her family and always looked forward to their visits. All are welcome to join Jean’s family at her viewing on Saturday, July 28, 2018, from 10:00 a.m. until time of service at 11:00 a.m. at Myers - Buhrig Funeral Home and Crematory, 37 East Main Street, Mechanicsburg, PA 17055; with Celebrant George Spangler officiating. Jean’s family invites everyone to join them for a time of food and fellowship at Buhrig’s Gathering Place (next to Myers - Buhrig) immediately following the service. Burial in Rolling Green Cemetery in Camp Hill will be private and at the convenience of the family. Honored to be pallbearers are: Verlan Bauman, John Diller, Jr., Loren Neidig, and Greg Trimbur. Contributions in celebration of Jean’s life can be made to Homeland Hospice, 2300 Vartan Way, Suite 115, Harrisburg PA 17110. Jean’s family has entrusted her care to Myers – Buhrig Funeral Home and Crematory in Mechanicsburg, (717) 766-3421. 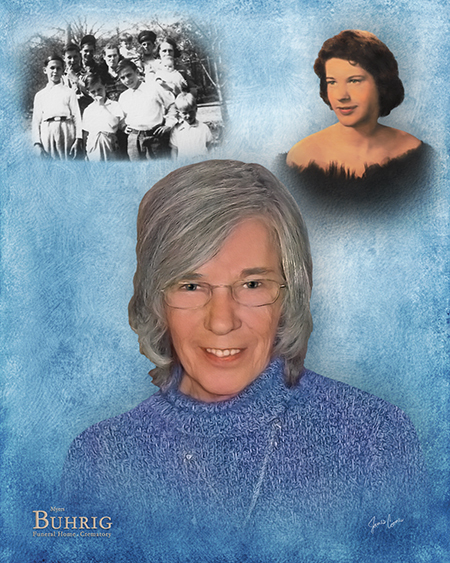 Read Jean’s full obituary, view her memorial video and portrait, and sign her official guest book at Buhrig.com.